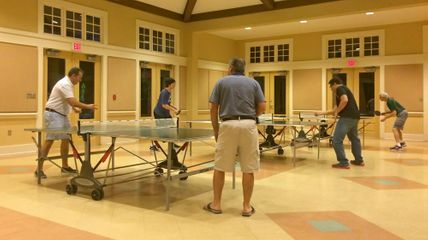 If you enjoy playing table tennis and if you want to better your game, then you have come to the right place. We are open to Celebration Residents and their guests who are 14 and over. All skill levels are welcome and there is no fee to join. We play for 2 hours every Friday night, we play singles and doubles. You're welcome to come for the whole meeting or just part of the time. Don't have a paddle? No problem, we have spares. Please view our Meetings page to see the format of how our meetings are run. 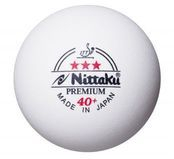 We play with Nittaku 3-Star Premium 40+ Poly Balls on Kettler Tables.